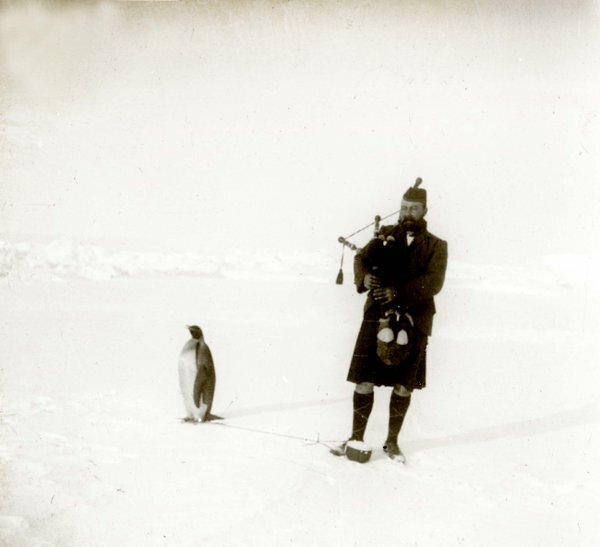 The 1902 expedition to Antarctica from Scotland, made a fantastically Scottish decision and sent Gilbert Kerr as the official expedition piper. 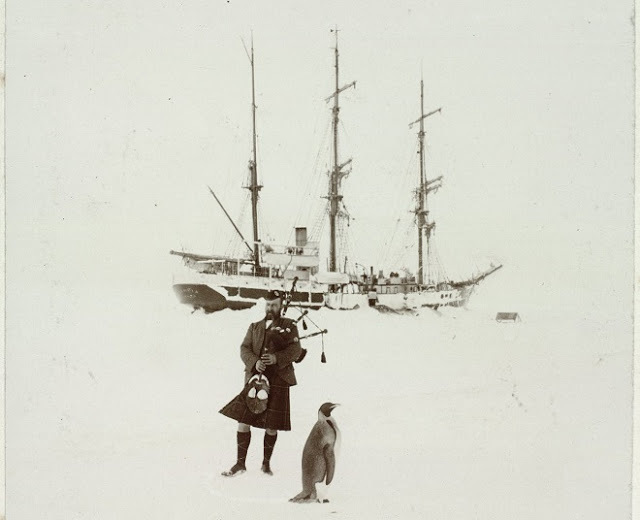 Scientist and naturalist William S. Bruce, took a photo of Kerr attempting to entertain the wildlife while The Scotia was stuck in the ice. Per a written account of the event, "there was no excitement, no sign of appreciation or disapproval, only sleepy indifference." The Royal Scottish Geographic Society also reported that the bird may have been unmoved because he was tethered to a cooking-pot packed full of snow. 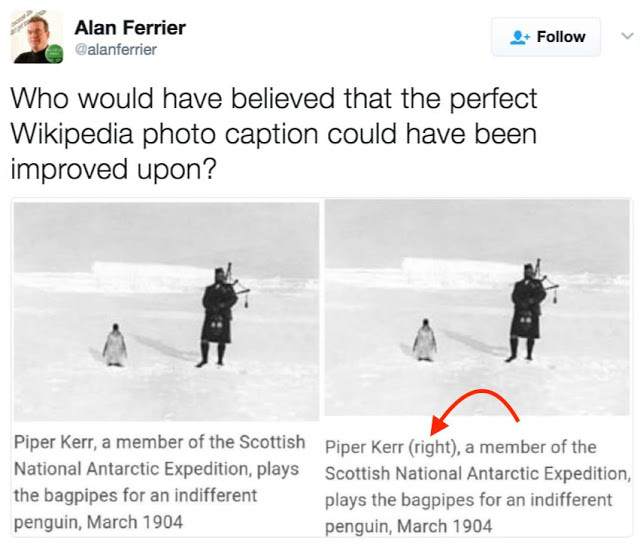 Kerr received a medal for valuable services to the Scottish National Antarctic Expedition, presumably the penguin did not.